Young Darcy doesn’t like her new baby brother, especially the way he monopolizes her parents’ time and attention. 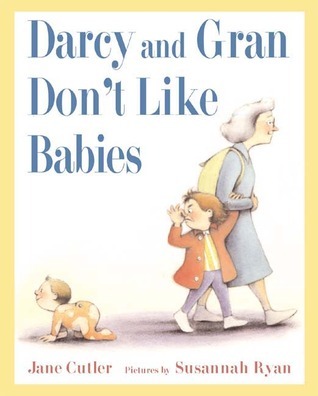 She confides in several adults, but nobody takes her seriously—until Gran comes to visit and matter-of-factly tells Darcy that she has never liked babies either. Gran takes Darcy to the park for a fun afternoon to play in ways babies can’t. White-haired Gran is spry enough to climb the jungle gym and carry Darcy piggyback. She also reassures Darcy that her ambivalence about the baby is OK. Because Gran is farther removed from the situation than Darcy’s parents are, her more abstract perspective is uniquely helpful. 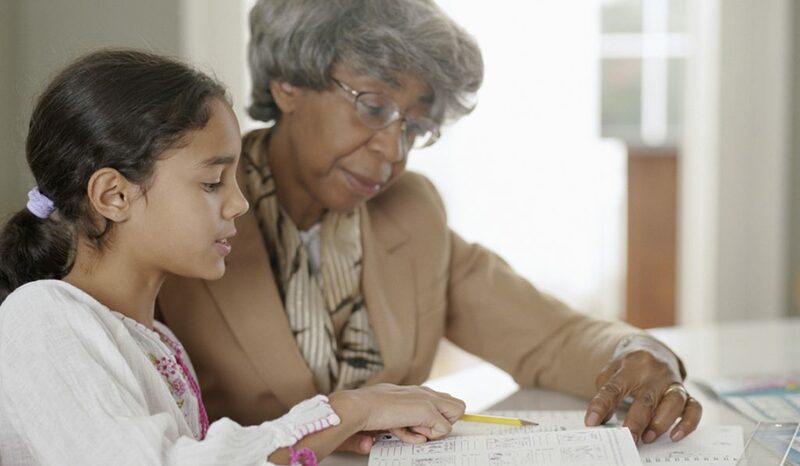 This book is appealing for its depiction of the bond between child and grandmother, its candor about feelings, and the shared parenting between father and mother. Facial expressions are particularly detailed in these illustrations, revealing everything from glum misery to delight.